There’s a reason we’re called Texas Air Authorities. When it comes to all of your central air conditioner service needs, we are the authorities. We’ve been installing, repairing and maintaining central AC systems in the Kennedale, TX, area for decades and have the knowledge and experience to get the job done right—every time. In Texas, walking out into the summer heat can feel like a power-packed smack in the face—a full-blown assault. That’s why central air conditioning isn’t a luxury. It’s a necessity. It’s the ammunition we Texans need to protect our homes and businesses when they come under serious attack. Let’s face it. Most window units aren’t very effective or cost-efficient. They’re a hassle to install at the beginning of the summer season and to remove when it’s over. Lugging them up and down basement stairs or hauling them out from other inconvenient storage nooks isn’t a joyride, either. At Texas Air Authorities, we can help you make the switch from clunky, inefficient window units to the firepower you need—and deserve. In the showdown against the heat, it’s important to choose your weapon carefully. A central air system that’s too small or too large is a poor battle plan because both undersized and oversized units are inefficient and prone to costly repairs and breakdowns. 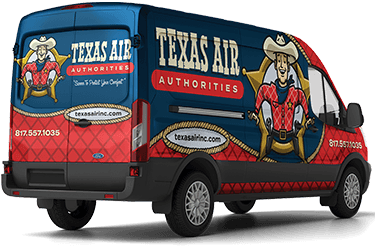 At Texas Air Authorities, we’ll conduct a top-to-bottom investigation of your territory and recommend the AC system that’s just right for your protection and comfort. Plus, if you already have central air but it’s not the right-sized weapon for you, we’ll get you straightened out and on the right track. Sometimes even law-abiding citizens slip up. Similarly, your AC unit might falter on occasion and need help getting back on the straight and narrow. Have no fear: we will come to your rescue when you need air conditioner service. Rely on us to respond to the distress call and fix the problem so you stay cool. In the case of a system breakdown, you need the squad with the best training and tactics to intervene. Even better, prevent trouble by scheduling regular tune-ups so that your central air conditioner stays fit to battle the Texas heat. Routine patrols will deter major problems from disturbing the peace in your home. When it comes to central air conditioning, Texas Air Authorities has an arsenal stockpiled with the finest equipment and services available, including AC replacement and installation, air conditioning repair and air conditioning maintenance. Joining forces, our air conditioner services protect your home from an invasion of stifling heat that would steal your cool comfort. When it comes to your HVAC system, Texas Air Authorities is the investigator you should trust to handle your case in Kennedale and surrounding communities. 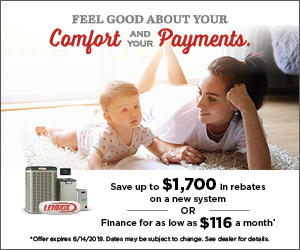 Our team has the training, experience and expertise required to resolve all of your air conditioner service needs plus more, such as heater repair and replacement and heat pump repair. Simply fill out our online form or call us at 817-402-3576.